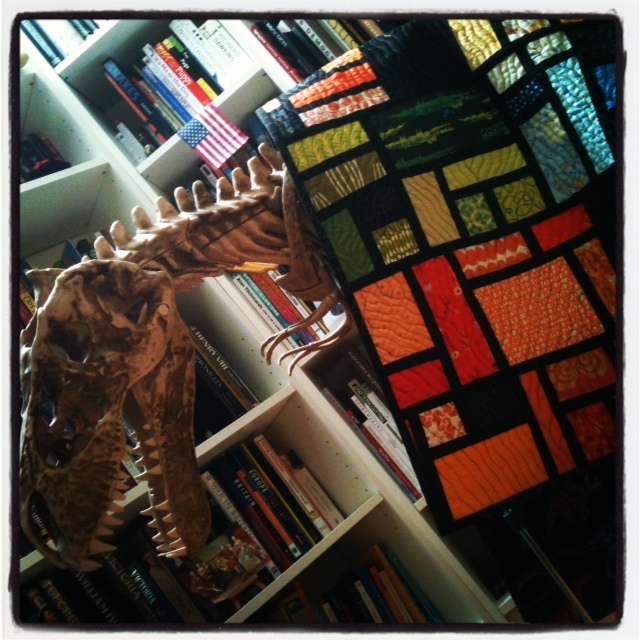 The dinosaur quilt is finished! You can read more about this quilt here, here and here. 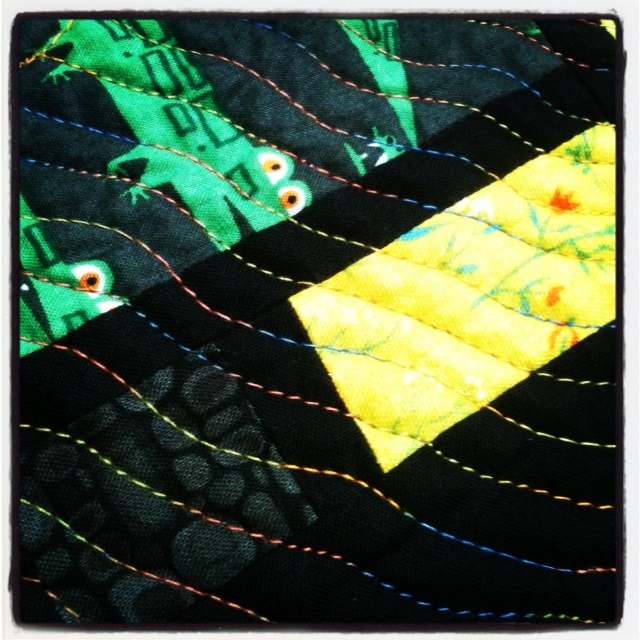 After much to-ing and fro-ing between different quilting designs, I finally sat down to tackle it last week, deciding upon a wiggly woven lines pattern that I found on The Free Motion Quilting Project blog. My impatience got the better of me and, despite telling myself I wouldn’t, I quilted the entire thing in one day, taking about 8 hours in total. Although not a huge quilt, measuring approximately 38″ x 50″, the design is quite close so my arms and shoulders really got a work out, although the texture of the finished quilting made it worth it. 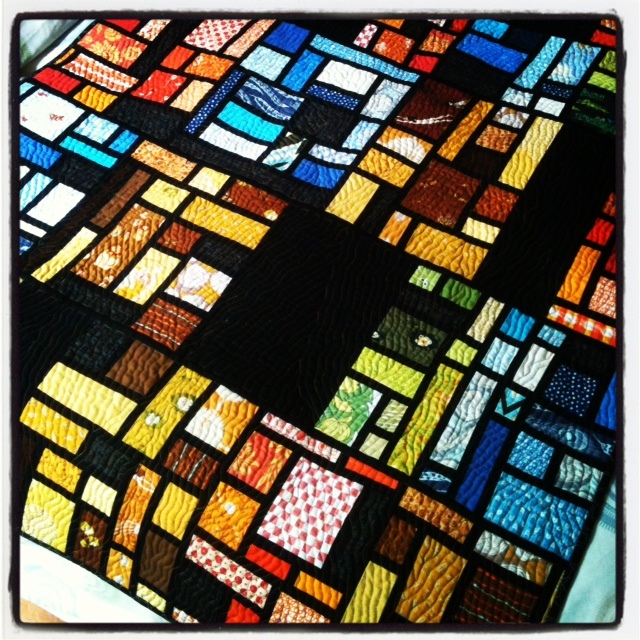 I’m so glad I get to keep this quilt. 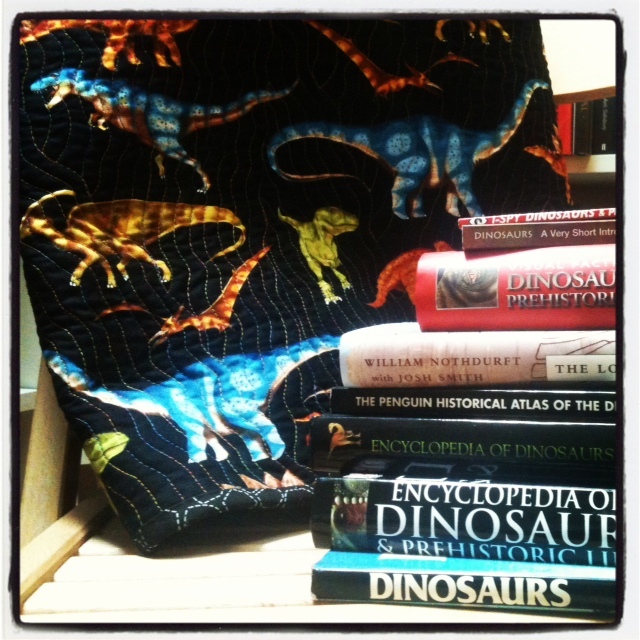 It really is a showcase of the fabrics that I love, particularly my precious Heather Ross, whose colours seemed to compliment the dinosaur backing beautifully. I also found the perfect thread to use. 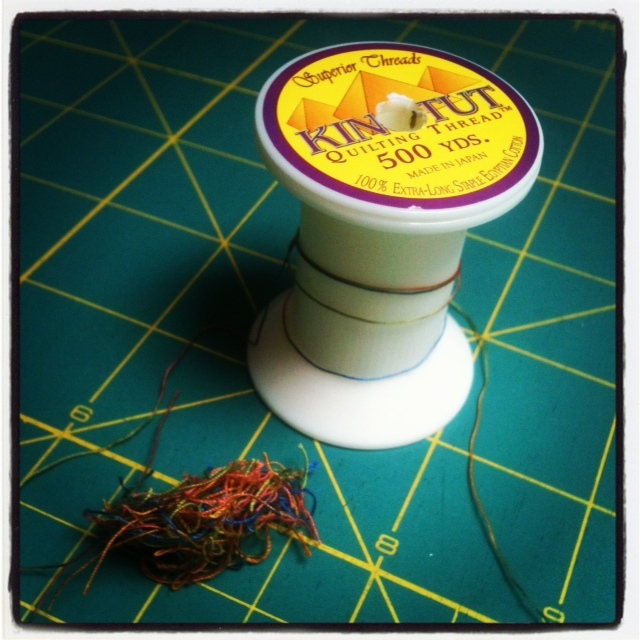 This King Tut thread passed through my machine effortlessly and, when coupled with these needles, made even and stress-free stitches. 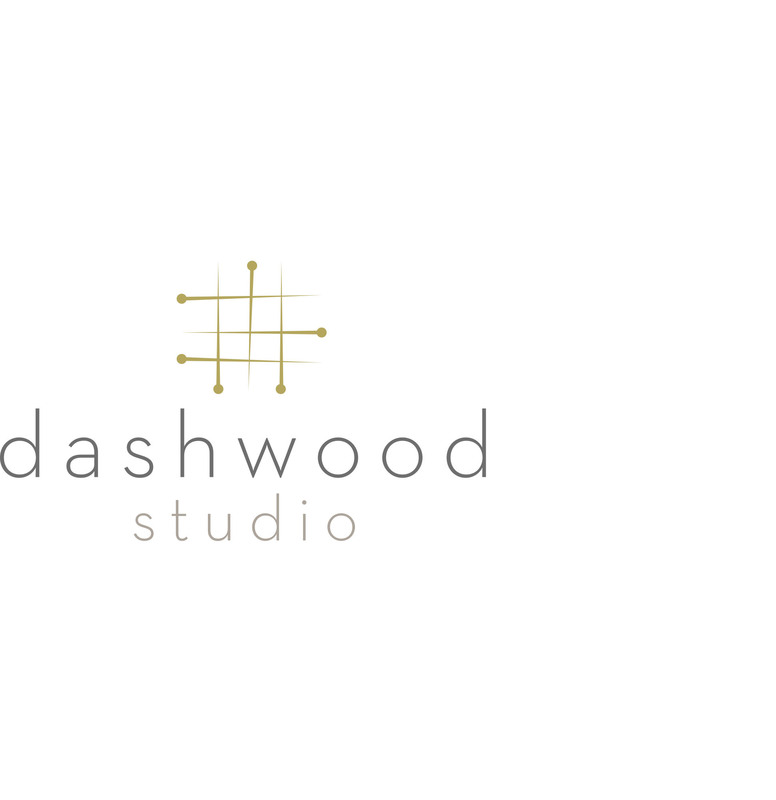 I recently switched needles after reading a lot of recommendations online and they’ll be my go-to needles for all future projects. 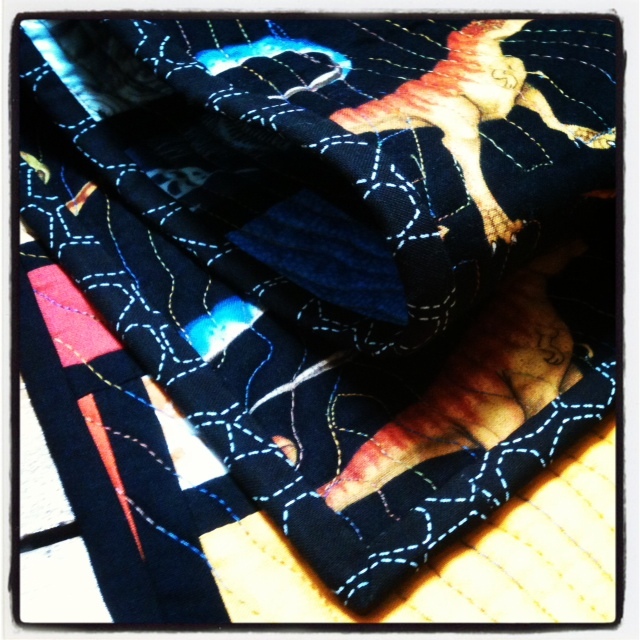 The binding continues the dinosaur theme, though I didn’t have quite enough fabric. 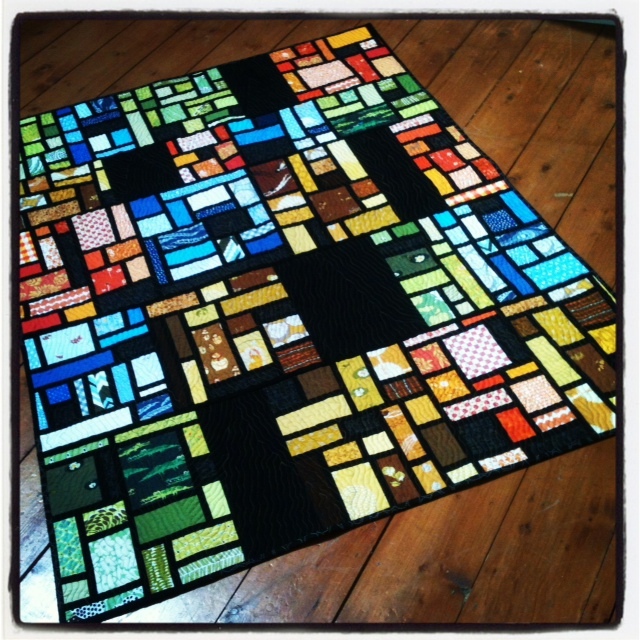 I added some solid black sections which echo the sashing and the pops of black on the quilt top. T-Rex seems pleased with the finished product, though I bet he’s just glad to have something warm to see him through the coming winter! I’m ending this post on a cautionary note. 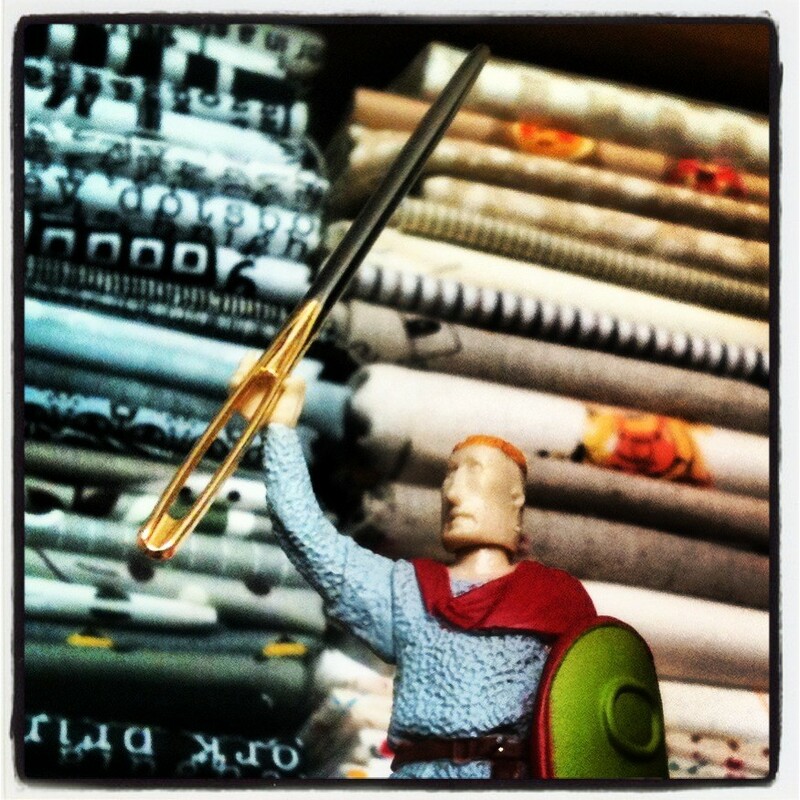 We all know that free motion quilting uses a lot of thread. I was almost caught out this time. I’d ordered the thread online and, rather than play it safe and buy 2, settled for one, 500 yard spool. 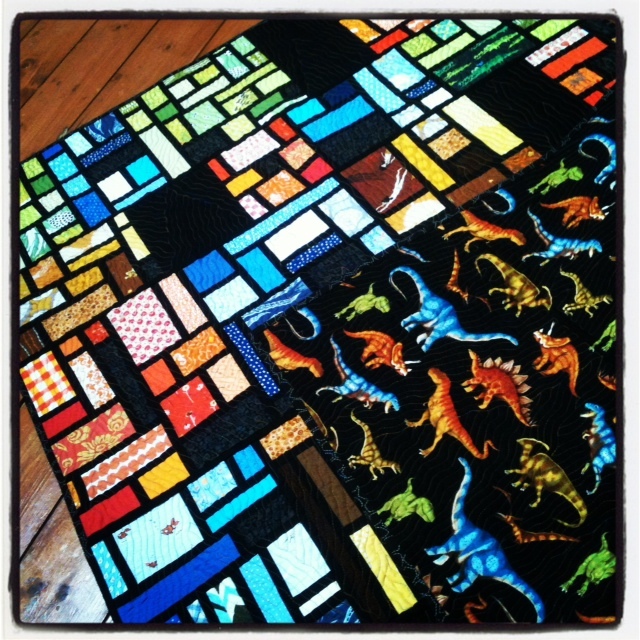 It quickly became obvious during the quilting of the last quarter that it was going to be close. Thankfully, even after winding 5 bobbins, I had enough, though only just. This is what was left; a paltry amount on the spool and a ball of trimmings. I won’t be so daring next time!